Kirby was more than a household name in my family. At home in Kentucky, watching my parents and sister jump out of their seats and hug each other with joy when Jack Buck called “We’ll see you tomorrow night!” became a memory I’ll never forget. At family gatherings in Minnesota, we’d ask my young cousin give her rendition of Twins PA announcer Bob Casey’s at-bat introduction for Puckett. Hearing her call out “Kiiiirr-beee-Puck-ettt!” was so cute and endearing that it never got old. Puckett was so popular in our home, there was no objection when I suggested we name our second dog Kirby the same summer glaucoma and retinal damage claimed Puckett’s career. He felt like an extended family member: one we’d never met but we were proud of everything he’d accomplished and the joy he delivered to us in every game. It was easy to love Puckett as a child: he was the same height and roughly the same build as my father. I’d seen my father play soccer and softball, and his hustle and joy over every small accomplishment reminded me of Puckett. Other than the racial differences, I couldn’t be completely certain there wasn’t a Clark Kent/Superman act going on. Then there were my own aspirations: for a kid who didn’t look like much of an athlete, Puckett gave me hope that my dream to play professional baseball might someday come true. There was so much to love about Puckett as a player: he dazzled us by robbing home runs and charmed us by flashing that million dollar smile. By modern analytic measures, he wasn’t a great centerfielder but, at the time, voters kept awarding him with gold gloves, so who were we to argue? He was far more than just a “heart and hustle” guy, too. From 1986 through 1990, Puckett finished 10th in slugging percentage, just behind emerging sluggers Mark McGwire and Jose Canseco, a great accomplishment for a center fielder. He showed some speed, twice stealing 20 or more bases and swiping 10 or more during 5 other seasons in his career. He battled some of the great hitters of the era for batting titles, like Wade Boggs, Paul Molitor, and Edgar Martinez. And he had that trademark leg-kick and little bat waggle that was fun to imitate at home. When he was on TV, I couldn’t tear myself away. Living eight hundred miles from Twins territory meant I spent a lot of mornings chasing school buses because I’d stayed at home to wait for Twins highlights to appear on SportsCenter. I delayed going out to play on a lot of Saturday mornings because This Week in Baseball promised a Puckett segment just after the next commercial break. In the mid-’90s the Twins winning ways started to evaporate. As primarily Cubs fans, my father and I wondered if the Loveable Losers could provide greener pastures for our favorite Twin (who himself grew up in the projects on Chicago’s South Side). At Tribune Company shareholder’s day at Wrigley Field in 1995, my father and I cornered Andy MacPhail, then Cubs president and Twins GM before that. I asked if there was any chance the Cubs would consider acquiring Puckett. “Kirby belongs to Minnesota”, MacPhail replied. Maybe he was speaking the truth: there was certainly a special and strong bond between the city and Kirby. Puckett was the star player who hailed from somewhere else but chose to make his home in Minnesota, rather than stars like Paul Molitor or Dave Winfield who were products of Minnesota but made their mark in other markets. Puckett and his wife, Tonya, embraced the community in the Twin Cities and started a charity pool tournament that brought celebrities to the Twin Cities to raise money for area charities. Years later, Puckett used part of his $30 million contract to create a scholarship fund at the University of Minnesota. Maybe MacPhail just realized that Puckett wasn’t quite the player he used to be, as Puckett shifted to right field in the mid-90’s, a position the Cubs hoped would belong to Sammy Sosa for a long time. Whatever the reason for MacPhail’s lack of interest, there was no way my father or I could have known this would be one of the last times we’d refer to Puckett as a major league player in the present tense. A couple months after MacPhail was kind enough to answer my inane question, an inside pitch from Dennis Martinez shattered Puckett’s jaw. The incident stunned fans and teammates, not to mention Martinez, who considered taking himself out of the game. Doctors and trainers reported Puckett would need 3-6 weeks to recover but an unknown circulatory disorder was lurking and would soon end Puckett’s career. When news broke that Puckett woke up one morning during the following spring training with limited sight in his right eye, we watched the sports section of our local paper and waited with bated breath for updates from relatives in Minnesota. This being the days before wide-spread internet usage, I had to wait for my grandfather or an aunt or uncle to call so I could beg for them to relay the latest updates from the Star-Tribune. The rare form of glaucoma was rooted in Puckett’s circulatory issues and the resulting damage to Puckett’s retina was suddenly threatening his career. When the Twins got off to a hot start, I thought the stars were aligning for Puckett to return to lead the team to the post-season. Surgery-after-surgery failed to restore Puckett’s sight, though, and he announced his retirement just days before my 16th birthday. I was devastated. Puckett was supposed to be the first player to reach 3,000 hits who I’d loyally followed through his whole career (or most of it, anyway). I knew Puckett couldn’t play forever, but he’d hit .314 in the previous season at the age of 35. Even in a year where it felt like everybody batted over .300, it seemed significant that Puckett could keep pace with players still in the prime of their career, like Rafael Palmeiro and Barry Larkin. The Twins had signed veteran Paul Molitor during the off-season, who played high school and college ball just miles from the Metrodome. I was sure this was going to be the season where Minnesota’s native son and chosen son would share the field and carry the team back to the promised land. Instead, the Twins finished with another sub-.500 season and I’d have to live with a team led by Molitor, Chuck Knoblauch, and a young mess of a pitching staff. Five years later, I celebrated in my dorm room when it was announced that Puckett would join the Hall of Fame alongside Minnesotan Dave Winfield. Puckett’s pending induction gave me a chance to share one last trip down memory lane about Puckett with my grandfather, who was dying from cancer and had sworn off the Twins after a decade of mediocrity but still seemed to enjoy them through his family’s eyes. It was difficult to see Puckett take the podium at a weight unhealthy for anyone in any stage of life, and a stunning weight for a recently retired athlete, but at least I got the chance to see him ascend to baseball’s highest honor. Unfortunately, that would be the last time I could naively reminisce about Puckett’s career. It’s difficult to forgive someone for something that was never reconciled in the public eye. 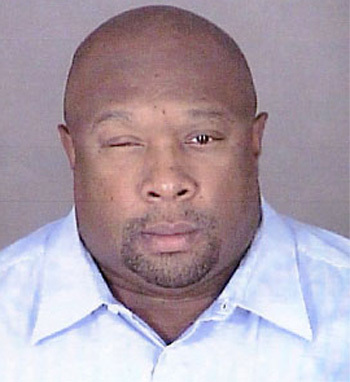 In December of 2001, Puckett was accused making death threats against his wife over the phone. While Puckett denied the allegations and was never charged with any crime, it was the beginning of the unraveling of his personal life in the public sphere. I was a little busy trying to finish college to follow everything that followed: accusations of abuse and threats by his wife and the outing of his history with mistresses, including one that lasted 18 years before she ended the relationship along similar reasons for his pending divorce. I felt safe ignoring the troubling news about Puckett’s personal life until my best friend pointed to the cover story of Sports Illustrated in March of 2003, “The Secret Life of Kirby Puckett”. Inside the pages of that issue, Frank DeFord laid out the now widely known accusations of abuse, infidelity, and public indecency as well as details about Puckett’s pending trial for sexual assault but the story centered on the one thing I could avoid until now: how do you deal with the fall of a hero? 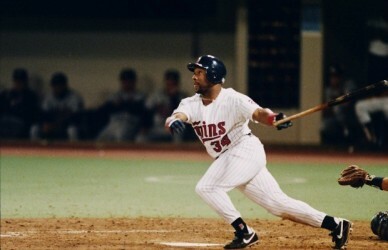 In Minnesota, fans, players, and public figures were trying to come to grips with the skeletons that were pouring out of Puckett’s closet faster than they could count them. It was beyond difficult to see the player I once idolized and after whom we’d named the family dog, the player who once showed us that maybe athletes could be role models, slink from the public eye. Until that moment, I’d been too busy finishing college and applying for internships to worry about Puckett’s image problem but, in that moment, I decided I had to acknowledge Puckett was just another athlete putting on one face for the fans and another in his private life. It was time to let go of this childhood idol. Like Madame Ranevsky, I could not free my neck and shoulders from my past; from the stone that was my former adoration of Kirby Puckett. Maybe it was a Roman Catholic [the early 2000s were not a great time on that front, either] need to forgive people that made me continue to wrestle with Puckett’s legacy. Maybe it was just the same difficulty that Twins fans thousands of miles away were dealing with, but I couldn’t come to grips with not seeing Puckett’s smile during Twins games over the next several seasons. These were good years for the Twins: they finally got back to the ALCS in 2001 and their core of young players looked like they would carry the team to more success. These should have been the years where the most famous Twin in my lifetime was throwing out ceremonial pitches and giving pep talks to these young players. Instead, he was thousands of miles away in a mostly self-imposed exile and I was happy that he wasn’t making me question my joy from the brilliant young team Terry Ryan had assembled. It was easy to root for the Twins now that the Puckett indiscretions were something I could scowl at and then throw away but, in the back of my mind, I hoped there was a path to forgiveness. Maybe Puckett could go public, acknowledge he made mistakes and that he was in a dark place after his career ended? I would never be able to forget what he did but, maybe, if he could show fans that he turned over a new leaf and asked for forgiveness, I could reconcile the winning smile with the losing choices that led him down this path. The chance never arrived. Puckett suffered a massive stroke almost three years after the Sports Illustrated cover story was published and died a day later. Teammates rushed to be at his bedside in his final hours and Twins fans mourned and remembered the good times. We remembered the night we embraced each other after his Game 6 heroics. We remembered the leaping catches and excitement he brought to every household in Twins Country (and beyond). I still don’t think we know what to do with his legacy off the field. At least, I still don’t know what to do with his legacy off the field. I’m encouraged that Puckett was trying to start a new chapter in his life with a new fiancée who he was planning to marry when the stroke cut his life short. Without that new chapter, it’s difficult to say if he had put his past behind him or if the shadow of his shortened career would continue to haunt him. How should we remember people who treated strangers with decency and respect and cared for people in need but harmed the people closest to them? How should we remember idols who fell hard and swiftly? I’ll probably stick my DVD of Game 6 of the ’91 Series in my blu-ray player this weekend and remember the night Puckett brought my family and a whole city to its feet. That is a moment of joy no one can take from me, but dealing with the idea that Puckett’s personal life was so far removed from the role model I saw on TV is just as shocking now as it was the day he died. Puckett had all the symptoms of traumatic brain injury; the morbid weight gain, swelling that can contribute to diseases like glacoma, pain, behavior disorder that can cause irrational out of character behavior. It can happen to anyone who has had a degenerative brain concussion. Many war veterans exposed to artillery, bomb and other weapons concussive explosions experience these problems. Not sure Puckett’s autopsy included any CTE brain evaluation? The great football linebacker Junior Seau who demonstrated irrational behavior and took his own life is an example of what the pain and torture of brain damage can cause. “We are all human, we all have faults, I cannot worry about players personal lives, I celebrate their goals and accomplishments as baseball players through collecting cards.” Kirby Puckett will always be missed as a baseball powerhouse player but, who am I to judge.